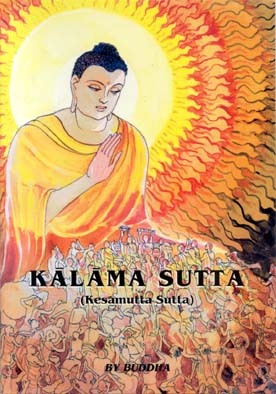 Among the modern, Buddhists ‘Kalama Sutta’ has acquired an extensive popularity. This publication provides the total Pali text with an English translation. In his introductory essay to the Sutta, Ven. Weragoda Sarada Maha Thero says: “In the Supremely Enlightened Dispensation of the Buddha, the ringing and echoing call to mankind, to liberate its mind from the inhibiting bonds and shackles of prejudice, is embodied in this discourse to the Kalamas.” Kalama declaration is the “declaration of unprejudiced thinking” proclaimed 2545 years ago. and “The Kindness of the Buddha” are especially important. 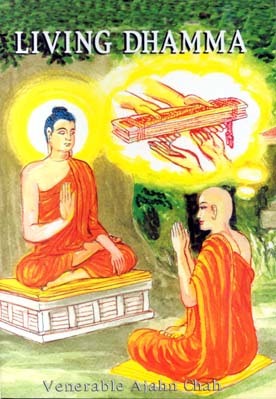 The author was a well-known Thai monk, who trained monks and also laymen in the way towards the liberation of the mind. His method was instructing through conversation. He would address groups of devotees and teach them concepts of Buddhism at an intimate personal level. This work consists of a series of such talks given by him from time to time at his monastery at Wat Ba Pong. These talks, enable a dramatic transformation of the thinking of his listeners. The Buddhist concept of mindfulness (sati) is an extremely difficult idea to define in words – not because it is complex, but because it is too simple and open. This work provides a very effective analysis of this process. 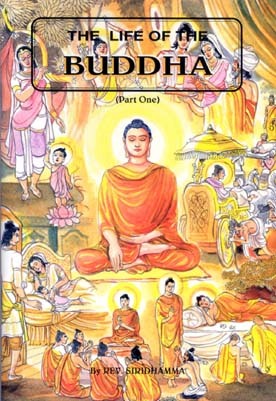 This is an absorbing work of fiction woven around the life of the Buddha. The Supremely Enlightened One. The well known episodes aer dramatized vividly through imaginative visualization. The most outstand quality of this work is that Prince Siddhatha and other personalities are vibrantly made alive. Though a work of fiction, it reads very much like authentically realistic presentation. Those who have been familiar only with the familiar aspects of the life of the Buddha, will find this refreshing aspect. The book starts with an introductory note that is slightly more extensive than the normal entry into a book of this size. To introduce the book at this kind of length was thought necessary because the three refuges of Buddhism usually do not get discussed at length- together. Here the original questions are all answered in one volume. The book is organized in such a way that it could be read in easy sections, depending on the time-slot available to each individual to peruse the book. 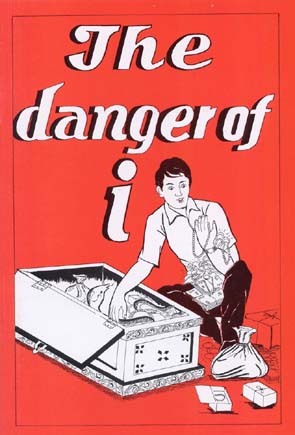 The book is written in a very simple English idiom. The subject matter is narrated in such a way that it resembles an intimate a conversation. Everything said here is a result of a fresh vision, even of not well-known matters relating to Buddhism. This way the book can be used both by the adept and the beginner. 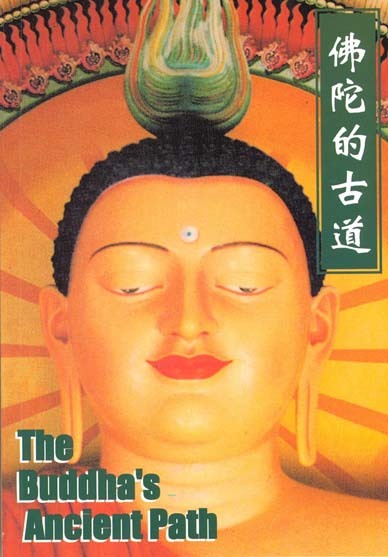 An area of special interest to everyone is the chapter “Buddhism for Modern Man – Buddhism in the space age”. Meditation, if properly practised is the primary path towards man’s spiritual fulfillment. But, it is very rarely indeed that a person intending to practise meditation receives proper and authoritative guidance. This book provides that much needed guidance to all. The special characteristic of this work is its lucid and analytical presentation. All the questions people tend to ask are answered in this book. 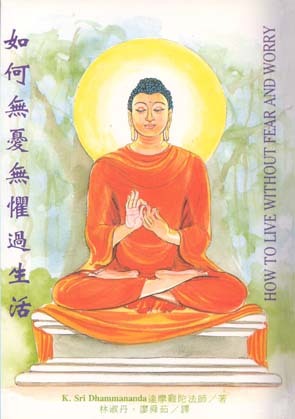 This book has been formulated in such a way, that it is at once profitable to both the learners and teachers of the Buddhist way of meditation (bhavana). The contents of the book are presented in four chapters and three appendices. Those who study this work can enter into meditation, with a total awareness of the background necessary for proper meditation. 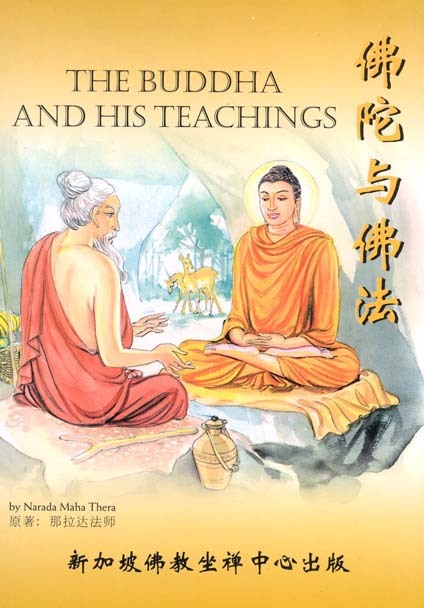 Authoritative information about Buddha and his teaching are included in the work as a kind of additional gift to the readers. The work has been published as two separate books. In part One of the book, thirty-two lessons are included. In part two, thirty-two more lessons are presented. 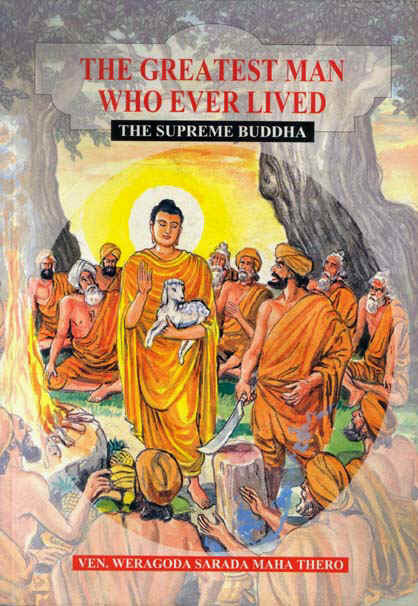 The life of the Buddha is narrated in a style that is easily accessed by children. This work comes with an introduction by Ven. 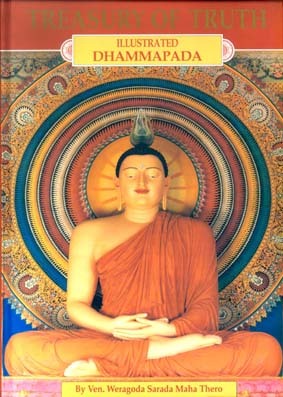 Dr. K. Sri Dhammananda Maha Nayaka Thero. He indicates to the teachers how this book has to be taught to young people. Pali, is very much the language of Buddhism and it is in Pali that the oldest Buddhist texts were composed. Anyone, who is keen to study Buddhism profoundly, must possess an awareness of the Pali language. Today, in most parts of the world, there is a great interest in Buddhism. Along with this, there is a fresh enthusiasm to study Pali. 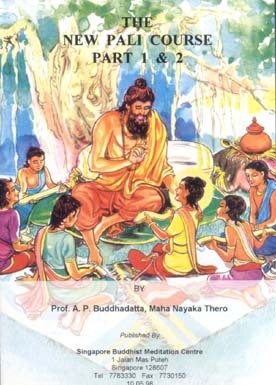 The present work is a classic text book for those who are keen to study Pali. The text is presented in such a way, that if necessary a student could learn the language himself, following the exercises given in the book. The book contains a comprehensive vocabulary. With the increasing academic interest in the study of Pali and Buddhism, this work will have a burgeoning demand. This book provides a whole series of fundamental information most people need. 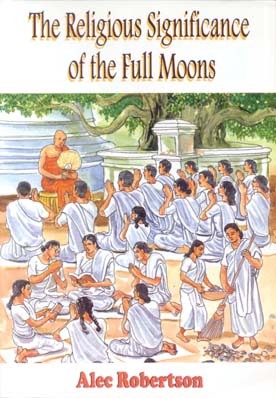 The central urge of this book is to discuss the importance of each full moon season, from the viewpoint of the Buddhist. If the author merely gave a list of reasons why a given fullmoon is significant, the work would have been rather a routine work. But here, the author in addition to his description of the significance of full moon days, provides an analysis of the cardinal doctrinal teachings and observances associated with fullmoons. This book has a practical value everywhere. It is the result of assiduous research. This book came into being from a series of lectures delivered by the author. The series of lectures was collected into one volume and after appropriate revision, it was published in the present form. The book covers four major areas, titled 1. 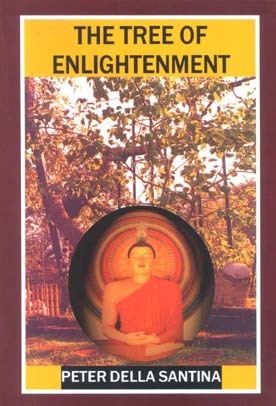 The fundamentals of Buddhism, 2. The Mahayana 3. The Vajrayana and 4. The Abidharma. 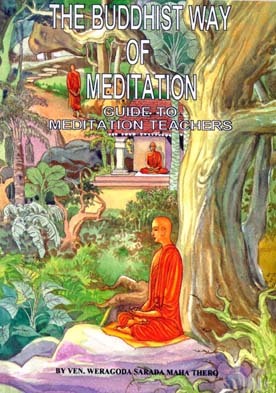 The book intends to provide a comprehensive guidance to Buddhism. Being as far as possible, non-technical, it is meant primarily for those readers, who may not have any special expertise in Buddhist studies or in Buddhist canonical languages. Of the three baskets of Buddhism, the third is the Abhidhamma Pitaka – The basket of higher teaching. That helps scholar and student alike, to comprehend the profound teaching of the Buddha about the mind, matter and life. Abhidhamma is essential for anyone who needs to develop Vipassana (insight) meditation. 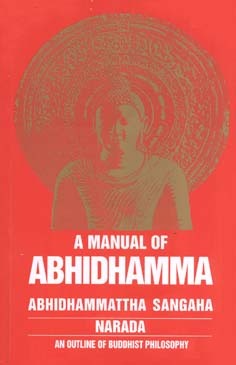 No study of the doctrine of the Buddha is complete without an awareness, at least, of Abhidhamma. In such a context, this work is essential reading for anyone interested in the doctrine of Buddha, in a deeper than casual manner. This English version represents a remarkable achievement by the scholar-monk who undertook the difficult task of translating it into English. For nearly half-a-century this work has remained a great contribution to English literature on Buddhism. The English version is printed with the parallel Pali version. This is rated a rare work. This definitive, encyclopedic work on the general concepts of the Buddhist system was compiled by Arahant Bhadantacariya Buddhaghosa, 1589 year ago. In effect, it represents the core-knowledge of the Theravada Buddhism. According to the English translator, Ven. 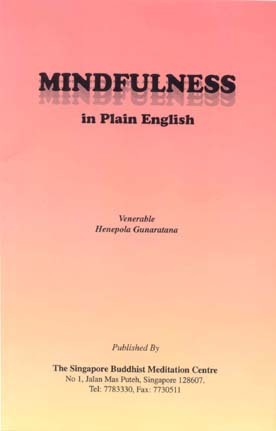 Bhikkhu Nanamoli, “The Visuddhimagga is perhaps unique in the literature of the world. It systematically summarizes and interprets the teachings of the Buddha, contained in the Pali Tipitaka.” The work is not only an exegesis of the Tipitaka but also a work of detailed practical instructions for developing purification. 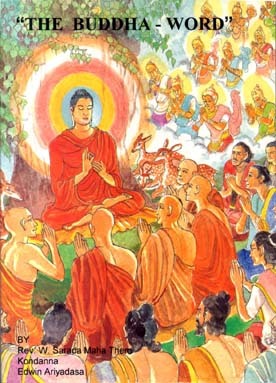 Arahant Bhadantacariya Buddhaghosa, resided at Maha Vihara, Anuradhapura, Sri Lanka and wrote several works including this work – Visuddhimagga. The translation has done the fullest possible justice to the original work. This monumental work contains the essence of Buddhism, making it i… reading for anyone interested in Buddhism. 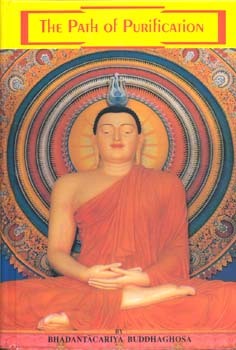 The Buddha image at Jayanthi Vihara, Sri Lanka fortis the cover art. According to the learned author of this book, this work is intended to serve one as a preliminary introduction, highlighting the richness of both the philosophical content and the literary and artistic creations of Buddhism. The book is in eight chapters. 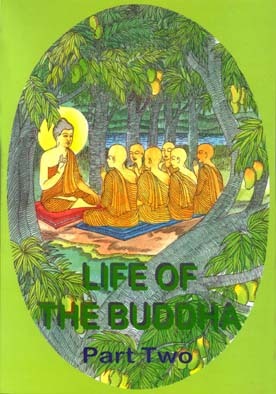 In the initial chapter, the life and mission of the Buddha are discussed extensively. 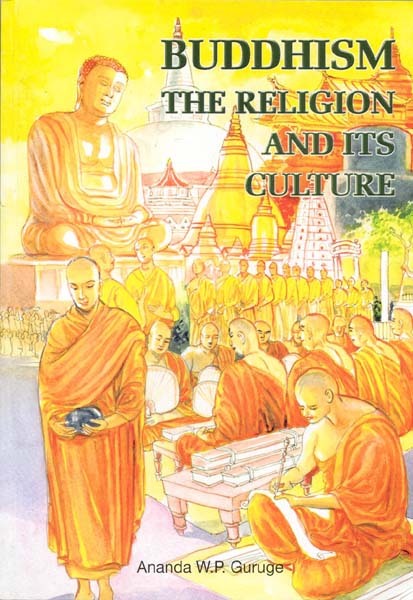 In the subsequent areas of the book, all aspects of the Buddhist traditions are taken up for discussion. A chapter is devoted to examine how Buddhism is practiced at a variety of levels. In this single volume a profound assessment of the religion and its culture are impressively presented. 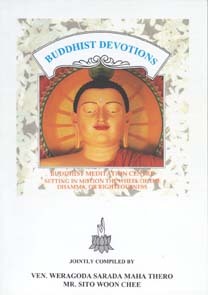 This book provides the devotee with a guideline to the practice of Buddhist rituals. All the stanzas that are recited in performing the rites are given here in Pali (Roman characters) English and Chinese. An additional section is given at the end, to enable the devotee to become aware of some stanzas and suttas, that guide the devotee towards meditation. The skill to pronounce Pali, is provided by the Chinese version which communicates the exact pronunciation of Pali words in Chinese. 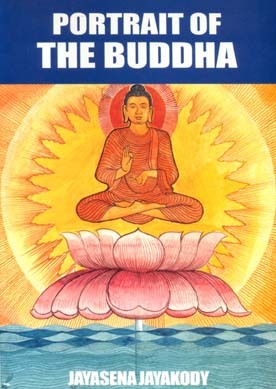 As a comprehensive discussion of the core thoughts and central teachings of Buddhism, this has remained a world classic. This classic has been translated into Chinese. It is an SBMC publication. The work, has remained a perennial favourite of readers all over the world. The learned Prelate discusses issues relating to Buddhism and problems of the work-a-day world, imparting practical wisdom. Getting rid of fear and worry and the pursuit of happiness are goals of all human beings irrespective of caste, creed or race. The Venerable author, eloquently advocates methods to overcome these. The book organized in four parts, namely 1. Worry and is source 2. How to overcome worry now 3. Ingredients for Happiness and 4. Techniques for happy and successful living. This book is available in Chinese. The Ven. author of this book has quite clearly set down the specific aim he had in mind, when he wrote this book. 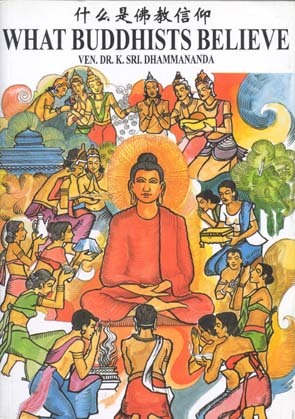 This is his statement: “to introduce the original teaching clearly and without recourse to exaggeration, cultural implication or disparaging of particular schools of Buddhism, so that the reader can understand the Buddha Dhamma in its modern context. The book is in six parts. The work has remained a popular work from the time it was first published. 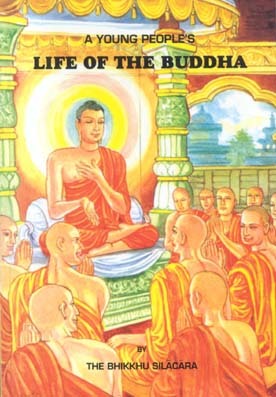 The first part of the book deals with the life and nature of the Buddha. 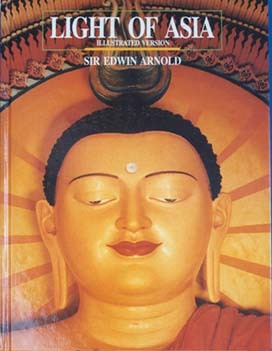 The book gives the reader a comprehensive view of the totality of Buddhism. What is important in this work, is that all ethical and moral issues that arise in human society been taken up and fully discussed. The book has a universal appeal, without any regard for cast, creed or race. (This is available in Chinese version as well). This publication is, in effect, a discussion about achieving the silence of the mind at a Buddhist monastery in England. In the introductory section of the book, the history of he establishment of the monastery is vividly described. 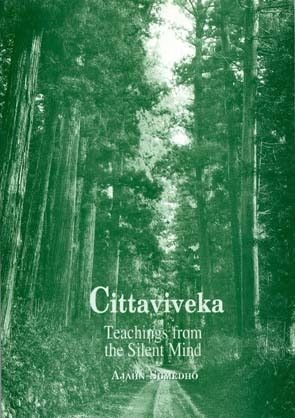 The main thrust is the process of the cultivation of the mind, leading to its tranquility – citta viveka. The instructions are given in a series of intimate discussions, presided over by the teacher. As a result of this, the discussions seem personally addressed to each reader. This booklet is an attempt to dispel the illusion of “I”. In a series of simple discussions the author directs the reader to the path leading to the discarding of the “I” notion. The author says drastically: “Anyone who is bold as to think of ‘I’ and ‘mine’ is a thief, approaching for himself something that properly belongs to nature.” The Buddha has quite emphatically stated that man’s “I” concept is the main cause of all worries in the world. This way the present booklet goes directly at the central issue. This paper is in three parts. 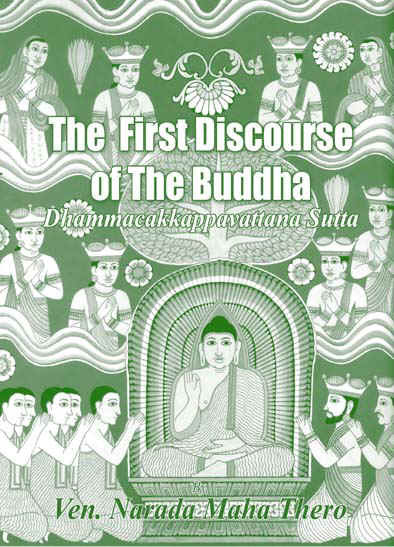 In the first segment, the background of religious practices in the Buddha’s day, is vividly but briefly discussed. This segment looks at the history of the Buddha’s quest for truth. His Enlightenment and the delivery of his first sermon “Dhammacakkapavattana Sutta” to the five fold ascetics is described briefly. The paper continues to give a resume of the discourse. In the next segment the total sutta is rendered in English. This is followed by a segment in which some reflections on the sutta are presented. 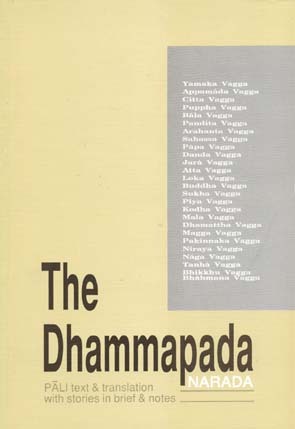 Since it was first published in 1963, this version of “The Dhammapada” has remained a firm favourite with readers everywhere. This work is ideal for ready reference.